The Welland valley was a focus for prehistoric settlement, just as was the case in the Nene valley. Archaeologists are piecing together the scant evidence – often drawn from excavations in advance of gravel extraction which then removes all traces. Find out about the most recent research. Andrew Hatton was involved with the 1990s excavation at Stowe Farm near Greatford and has recently completed a review of Bronze Age field systems located along the Welland Valley as part of studying for his MPhil. 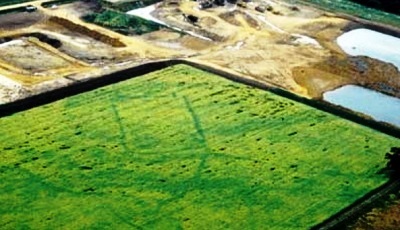 The aim of the research was to place the site at Stowe Farm, Lincolnshire, in a local and regional context.